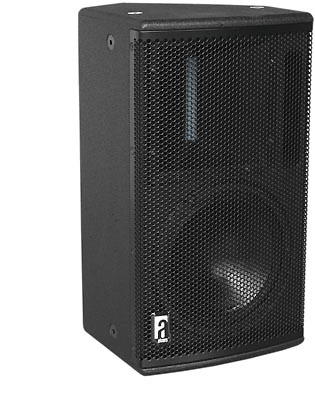 The VR8 is a 2-way ultra-compact multi-purpose loudspeaker, for both portable and permanent applications. Featuring the RBN401 pro-ribbon driver, the VR8 combines a remarkable clarity and intelligibility, with a high SPL. The RBN401 is mounted on a “revolvable” 90°x40° wave-guide and projects with “Real-90” horizontal dispersion up to 20.000Hz. The Signal Integrity Sensing™ pre-wiring ensures complete cable/connector compensation between the VR8 and ALC. The asymmetrical enclosure design provides for very flexible mounting (ceiling, wall) and usage. Typical applications for the VR8 include nearfield main system for theatre, A/V, PA or fill/delay speaker in larger systems, as well as stage monitoring. In applications where extended bass response is required, the VR8 can be combined with a pressurebass or deep-sub system. For full system performance, the VR8 needs to be driven by an ALC controller-amplifier. Driven by the ALC, the VR8 delivers maximum sound quality with increased headroom, under dedicated equalisation and inaudible (power and excursion) protection (SDP circuit).